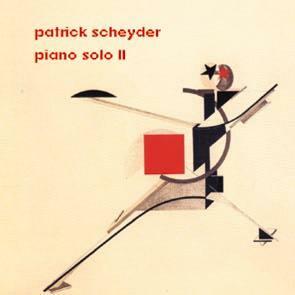 Solo Piano II is the third appearance of the French pianist Patrick Scheyder on Leo Records, the previous two being with Evan Parker (CD LR 326) and Lauren Newton (CD LR 347). Patrick says that while recording this CD in the splendid Dominican nave, he could hear a continuous song during two one-hour concerts. When he was selecting the pieces for the CD he wanted to preserve the continuity of that song, with all its wanderings and adventures. "This record is a story I have set my heart on telling you, a yarn, maybe."